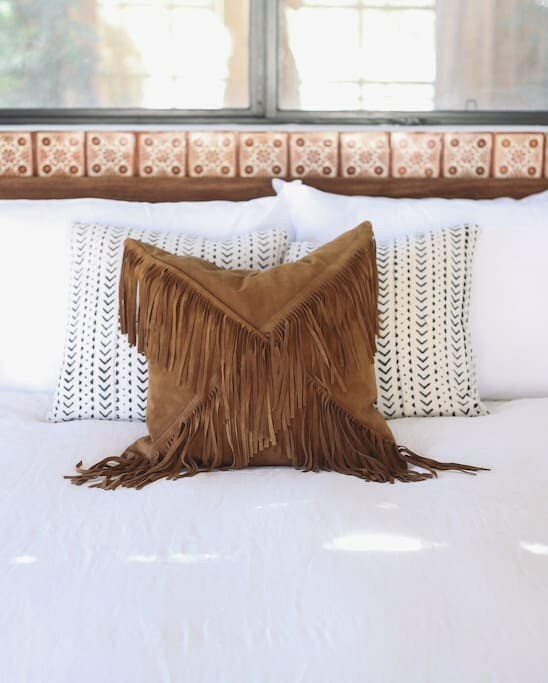 When we first spotted a Lasso Abode creation— casually tossed among designer furniture and original art in the Joshua Tree Casita —we thought, “Oh that looks so luxurious!” Of course these hand-crafted fringe pillows standout for their style but, whether they’re in our favorite AirBnB or a showroom couch, they’re also functional beauties. How did you start exploring design? 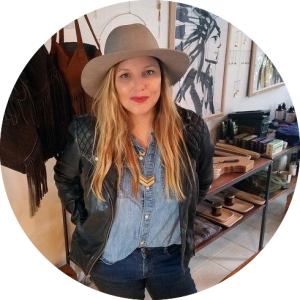 I earned my BFA in Fashion Design and went on to design for fashion brands in NYC. 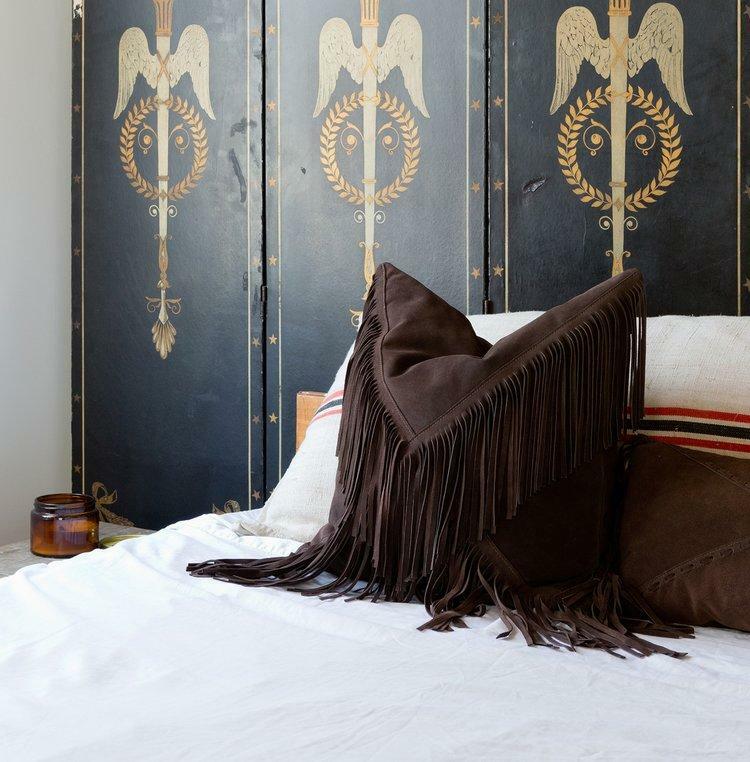 I actually first sketched the fringe pillows when I was designing for Ralph Lauren and had the drawings above my desk for inspiration. I got the idea because I used to carry around a fringy RL bag and would throw it on my sofa after work! At the time I was not thinking about them turning them into a business whatsoever. 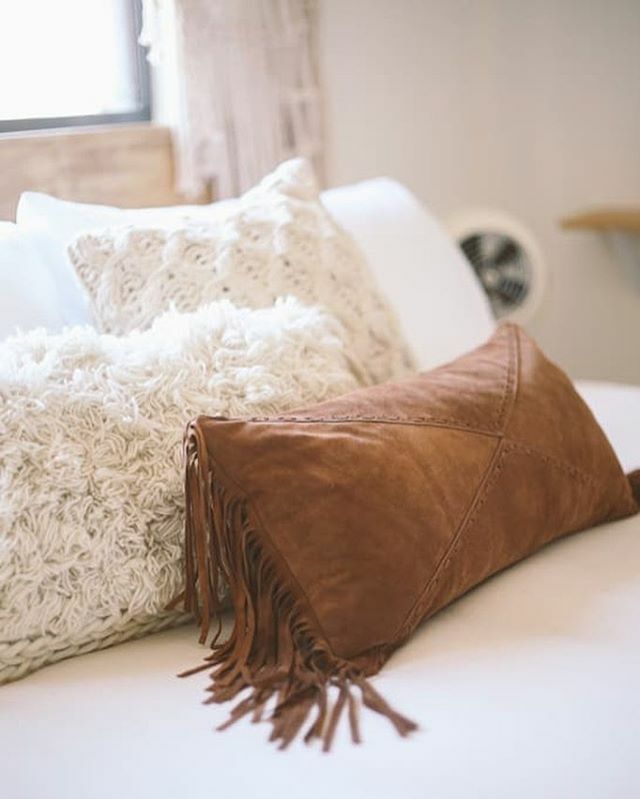 The last few years I worked in fashion I became more and more interested in home and interiors… Friends would ask me for help with their spaces because they loved the way I styled my home. It was a great creative outlet for me outside of corporate fashion. I lived in NYC about 15 years and moved to LA to work for Guess Jeans. Just 9 months later they closed my department and I was laid off. So I started consulting in design and branding for various fashion brands, small shops, and interior design businesses. At the same time, many of my friends were involved in the design and makers community in Los Angeles, often designing and selling jewelry or home goods for their own brands. I mentioned to a few friends I wanted to make the sketches into pillows, and a friend introduced me to her sample maker and that’s how Lasso Abode got started. 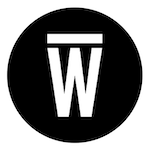 Through the support and inspiration of my friends in the L.A. indie design and makers scene. My personal and design aesthetic is very Americana, casual yet well made and sustainable and that definitely reflects in my brand! 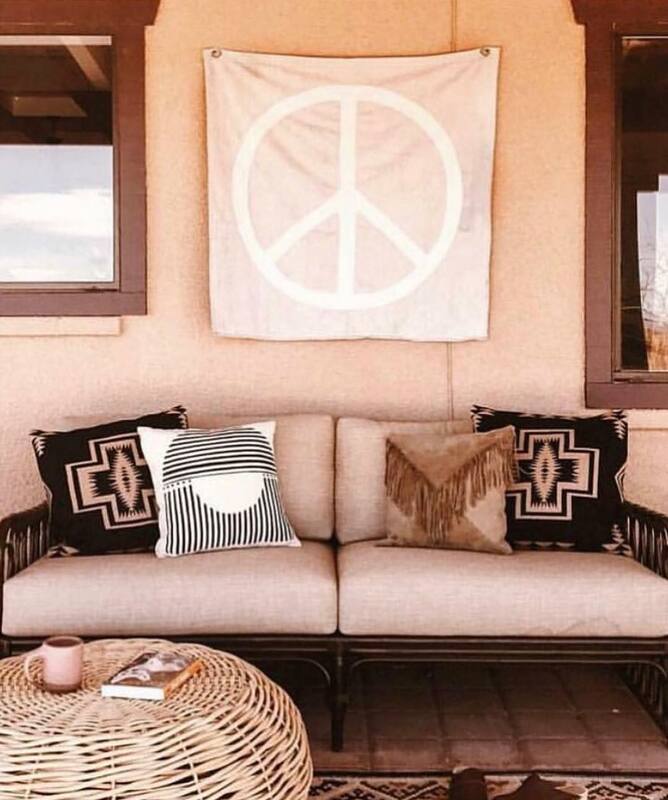 We love your work on AirBnBs, specifically the one in Joshua tree—how did this come together? Yes! I love Sarah & Rich Combs from The Joshua Tree House, they are such amazing designers. We became friends on Instagram and I asked if they were interested in any pillows. Luckily they were finishing up their second Airbnb at the time, The Casita. So the timing was great, and it worked out in such a lovely way as I had the honor of being their first guest at The Casita, which also fell on my birthday. You have a well-traveled air about you but your designs are distinctly local… it’s an eclectic mix. What places (urban, nature, near, far etc) have influenced you? It’s funny when I was younger I couldn’t wait to get out of my hometown St. Louis, Missouri and travel the world. In my younger years, I lived and played on a lake in St. Louis and we also had a house in Lake of the Ozarks where I would spend my summers there too. It probably started my cabin obsession honestly. I always had a love for nature and being outside. I ended up living and working in NYC because of my fashion career and traveled internationally often, working with factories and sourcing vintage for various design jobs. I also enjoyed traveling abroad for fun because it’s just really easy to travel internationally from NYC. However, since living in L.A. for the last 5 years I’ve definitely become more of a nester/ road tripper and love the nature on the West Coast. I’m often road tripping up north or to the desert. So really I guess it’s a combination of those things that you interpret in my designs. Do you see yourself working with more travel/hospitality properties? What kinds of places would you like to see your work? Absolutely! I love collaborating with the travel and leisure industry. My brand definitely has the vibe of being situated in a cabin or vacation home. I love the idea of creating and curating spaces for people to enjoy when they are on holiday away from their busy lives and connecting with others. I also had the amazing opportunity of styling a Little White Camper during a retreat by Rachel Mae Furman in Idyllwild last year. Expanding Lasso Abode to have more product for both home and travel accessories as well as curating more travel, glamping, and destination spaces is definitely where I want to take Lasso too. I would absolutely love to have Lasso Abode products featured in a boutique hotel or destination getaway! I also enjoy designing and curating the spaces as well. How do you hope to see your style/crafts change? I will definitely be adding more travel accessories such as Ipad cases, passport covers, camera straps, dope kits, bags such as weekenders and crossovers. I’ll also be using more cowhides, durable canvas fabrics and using buttery leathers to mix in with the suede. So I will definitely be crafting Lasso Abode into more of a travel and lifestyle brand. What do you prefer: found or hunted? New or collected? Local or international?